Aaron Watson announces 2017 tour dates in support of his highly anticipated album Vaquero, which is set for release on February 24th. The unstoppable, independent country music artist continues his stride as a force to be reckoned with. This year, Watson marks a major milestone as the headliner, opening night at the Houston Livestock Show and Rodeo. He will perform among some of the biggest names in music for the world’s largest livestock exhibition and rodeo event at NRG Stadium. Watson will also tour internationally where he has developed a loyal fan base and following. With a lengthy, four-month run of shows already set, Watson’s European leg will begin on Jan. 25th and run through Jan. 28th. Stateside performances include stops in New York, Los Angeles and at Nashville’s historic Grand Ole Opry. The Texas native will circle back to his resident homestead to perform at staple venues like Billy Bob’s and the San Antonio Stock Show and Rodeo. Watson will also be among the star-studded lineup for music festivals including Country Thunder, Country Stampede, and Country On The River in addition to his own headline shows. See below for a full list of tour dates and venues. 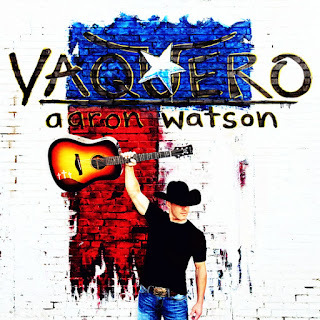 Watson’s new album Vaquero is set for release on Feb. 24th. Lead single “Outta Style,” is currently climbing the country music charts and has been featured by Rolling Stone Country, Billboard, All Access and more. Vaquero is the follow up to Watson’s history-making album The Underdog, which debuted at No. 1 on the Billboard Top Country Albums chart, making him the first-ever independent solo male Country artist to debut in the top spot. A pre-order of “Outta Style,” “Texas Lullaby” and “Big Love In A Small Town” are available on iTunes, here: http://smarturl.it/Vaquero.